Are you born on the same day as the famous people born on January 13? They are Capricorns who are true to themselves. They have a zest for life even when things are not going their way. They keep themselves up. So no one can tell if things are troubling them or if they are going through some hard times or rough patches in life. As an adult, they remember what they were taught as a child and hold dear those values and teachings. On the other hand, they can be naïve. However, famous people born on January 13 know what they want and go for it. Usually, famous people born on January 13 take commitment seriously. They could settle down with one partner at an early age. As a career choice, they will need something to hold their interest and challenge them. Otherwise, they will look for it in another place. Money is no big thing to famous people born on January 13. But having more of it will make life more comfortable in the long run. 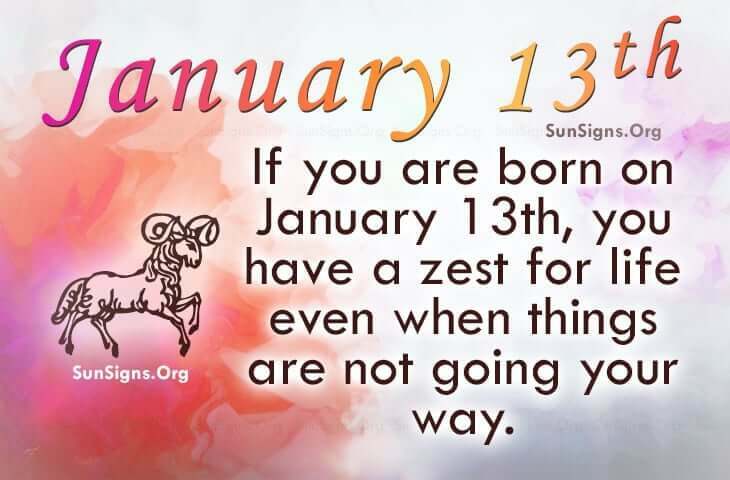 Those born on January 13th are of zodiac sign Capricorn. They make awesome parents. They are likely to marry young with a desire to live comfortably. Get a list of the January 13 famous birthdays below.